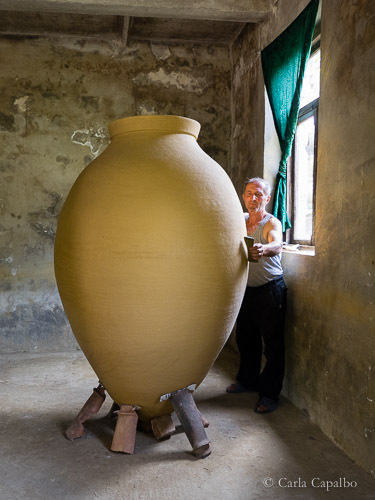 Zaliko Bodjadze is a master potter and he’s putting the finishing touches to a giant qvevri for winemaking in Imereti, Georgia. This is an image from my forthcoming book: Tasting Georgia (out summer 2016). Previous post: Jumping for wine!